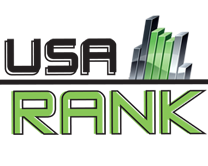 USA Rank provides teams all over the country with a ranking system that is fair, un-biased and lets teams game results do the talking. We do not award any special 'points' to teams for participating in a SincSports event and let teams enter in results from any tournament that is not run from within the SincSports system. While we'd love it if every tournament used our software, we know that isn't possible and don't want to penalize any team because of the tools used by any events. Where do these rating come from? Our ratings are completely objective. They are based solely on team results in league and tournament play. We currently have over 1,000,000 games in our database and recalculate the rankings every morning, since new games are added every day and old games drop off. We "seed" the rankings with the State, Regional and National tournament results and then run through all of the games at least a dozen times to establish the base for each team. Team A can beat B, B can beat C, and then C can beat A to make a simple calculation impossible. We don't use simple tournament outcome which can have so many variables depending on which teams participate and we don't use "experts" which can be biased and not give the proper credit to teams in smaller clubs. You are assigned a rating based on the rating of your opponents and the results of the games. Your ranking may change at any time, even if we don't add new results for you, since your competitors rating may change based on new results for them or their competition. So just beating a team once won't necessarily put you ahead of them since all of your results and theirs go into the national placement. Only games against ranked teams which are the same age/gender that occurred within the past year are included in the calculaion. Recent results are weighed higher than older results. Of course, the more results we have for your team, the more realistic your rating is. If you have results from the past year that don't show up on your page, just click "Add A Game" on your team page. If you are a team coach or manager you can add your latest results and make sure your team gets placed where it belongs! Simply Log In to the website for your sport (Soccer - soccerincollege.com, Baseball - baseballincollege.com, ect) to add your team and/or get your login information! Think of it as lining the third graders up by height. If Billy is taller than Jimmy but shorter that Tommy we put him in between them in line. If I told you that George was taller than Albert in the fourth grade... Would that help you decide where to put George in the third grade line?